Realme is now has 6 million fans in India, and as a part of the celebration, it is hosting Yo Days sale between April 9 and 12. 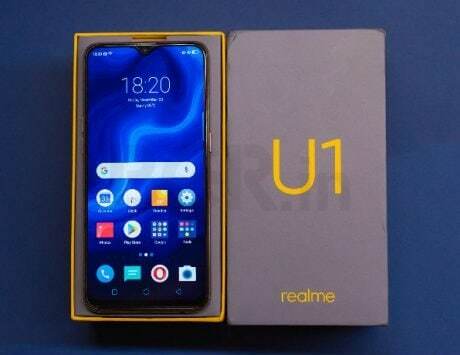 There are interesting deals on Realme 2 Pro and Realme U1 smartphones, among other deals. Since entering the Indian smartphone market, Realme has seen good growth, and has quickly managed to gain popularity. The recently launched smartphone, Realme 3, has hit the 500,000 sales mark in just three weeks. Realme is less than a year old, and has already managed to garner 6 million fans, and as a part of the celebration, it is hosting Realme Yo days sale between April 9 and April 12. There are deals on smartphones, bags, and more. Here’s a look at everything you need to know about the Realme Yo days sale deals. The Realme 3 will be going on flash sale at 12:00PM on April 9, and you will be able to buy the smartphone from Flipkart and Realme’s online store. The smartphone is priced at Rs 8,999 for the base 3GB RAM and 32GB storage configuration, and 4GB RAM with 64GB storage variant is priced at Rs 10,999. Highlights of the smartphone include MediaTek Helio P70 CPU, a 6.2-inch HD+ display with 19:9 aspect ratio, a large 4,230mAh battery, and ColorOS 6.0 based on Android Pie OS. The Realme 2 Pro will be available for Rs 11,990 after a flat discount. And to sweeten the deal, Realme will also be giving free Realme Buds earphones with the smartphone. The higher end variant will be available for just Rs 15,990, making it the most affordable smartphone with 8GB RAM and 128GB storage. Flipkart Prepaid users can avail additional Rs 1,000 off, which will bring down the price to Rs 10,990. The Realme U1, with a 25-megapixel front camera will be available at Rs 1,000 discount for Flipkart Prepaid users, bringing the price down to Rs 9,999. Just like the Realme 2 Pro, even Realme U1 buyers will get the Realme Buds earphones for free. Additionally, Flipkart Prepaid users can avail extra Rs 1,000 off, which will bring down the price to Rs 8,990. Realme just doesn’t sell smartphones and accessories, but also sells other products like backpacks. The Realme Tech Backpack can be yours for just Re 1, and you can buy it on April 9 and April 11 at 11:50AM.